Chief of Nephrology Central Arkansas Veterans Healthcare System. Professor of Medicine, Physiology and Biophysics University of Arkansas for Medical Sciences. Member of the American Society of Nephrology and the International Society of Nephrology. Member of 5 editorial commissions, as well as editorial reviewer in 25 Nephrology journals. He has participated as PI, Co-PI and as a clinical consultant in more than 50 projects, publishing over 100 articles and writing 8 scientific book chapters. 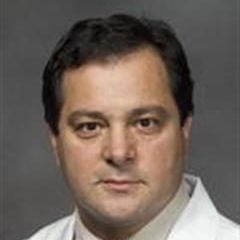 His scientific interests are focused on all aspects of intensive care nephrology, specifically on the physiological regulation of renal hemodynamics, the vascular mechanisms of renal dysfunction and the mechanisms that modulate the course of acute and chronic injury. His scientific collaborations go beyond the limits of the University of Arkansas, participating in projects with researchers from the University of Mississippi, the Mayo Clinic and the University of South Florida.